Do you ever get bored of the traditional Christmas colours? Red, green and gold has never really been my thing so I’m always on the look out for alternatives. I tried pastel pinks, greens and blues one year and last year I went for fresh greens and white. 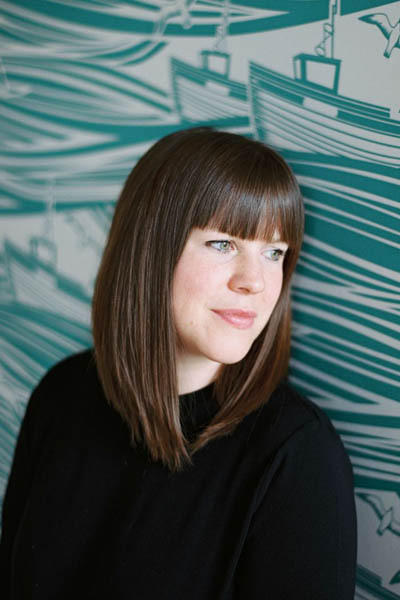 This year, I still want to incorporate as much nature in the house as possible but I have also been challenged by Harveys Furniture to add a burst of bright colour by creating my own festive decoration. So, I have decided to combine nature and a touch of colour. 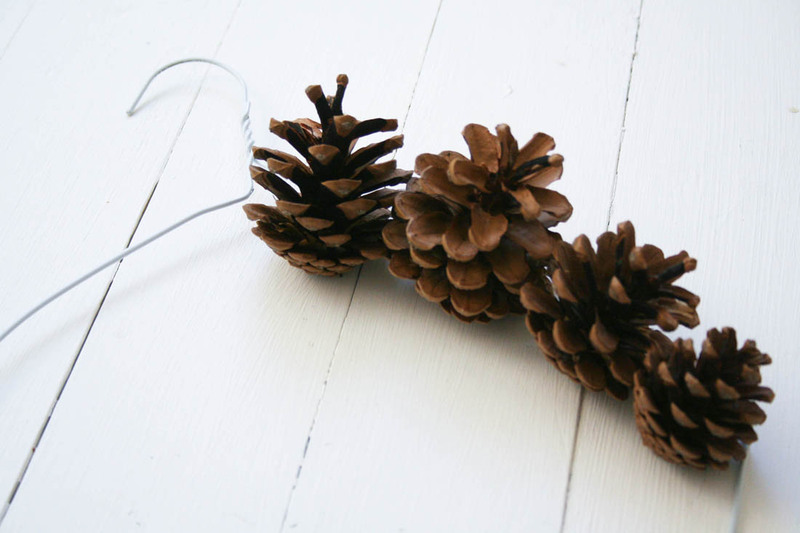 I have a collection of pine cones that I have gathered each winter from the park. 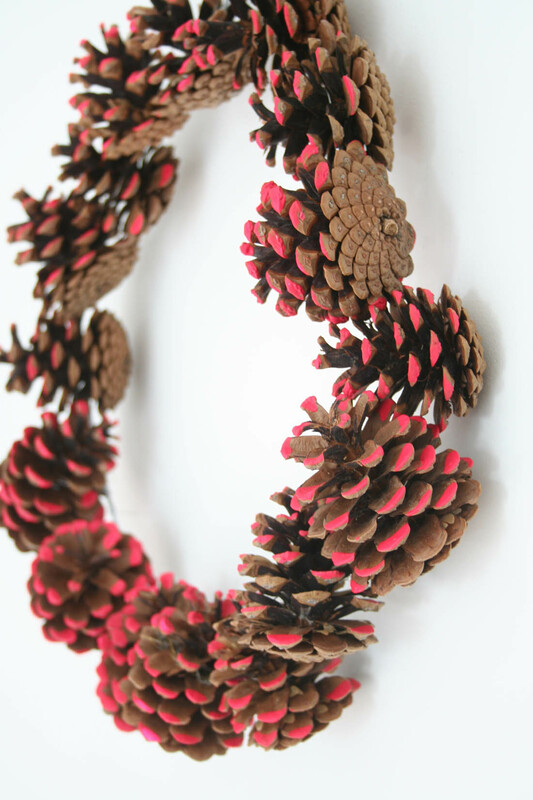 I always love making a wreath for Christmas so I decided to make mine a bit different this year by using the pine cones and adding a touch of neon pink to add a flash of colour. I think this will look great on a dark grey front door. 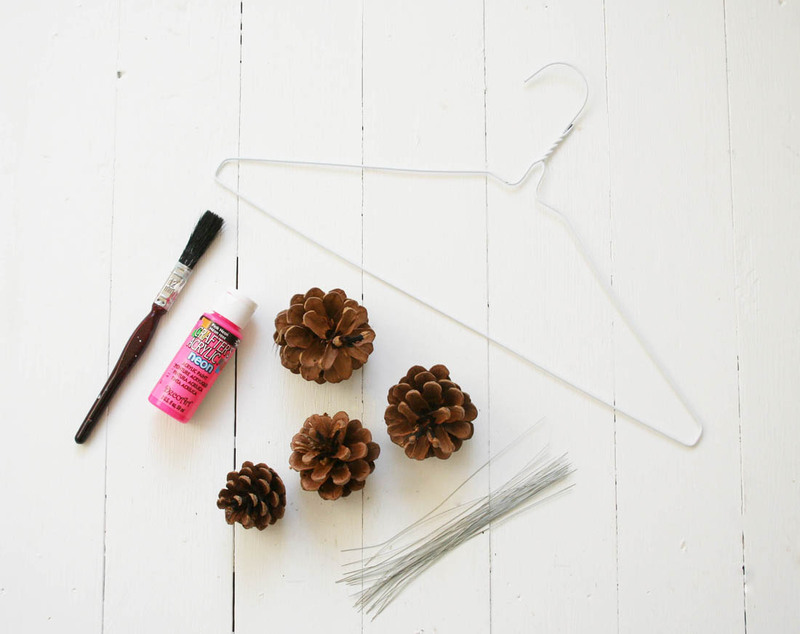 Step 1 – Stretch the wire coat hanger out into a circle, leaving the hook at the top in tact. 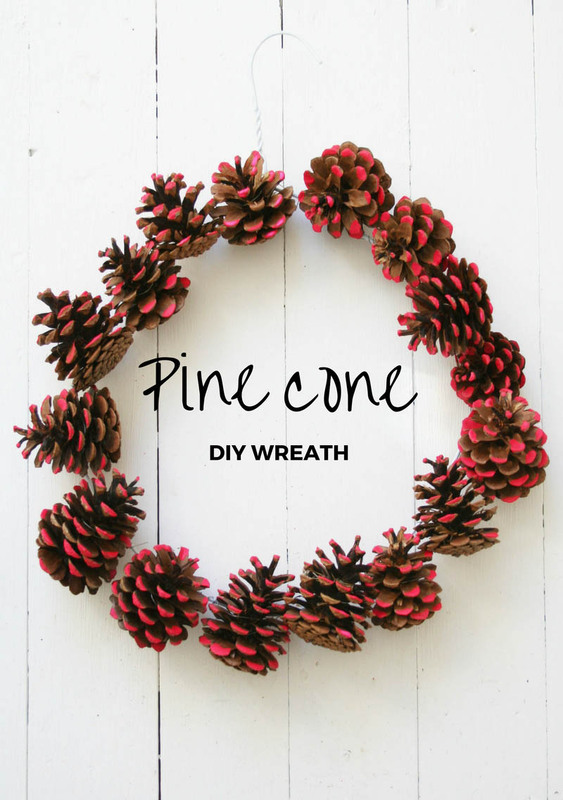 Step 2 – Space out the pine cones around the wire hoop to figure out how many you will need for the wreath. 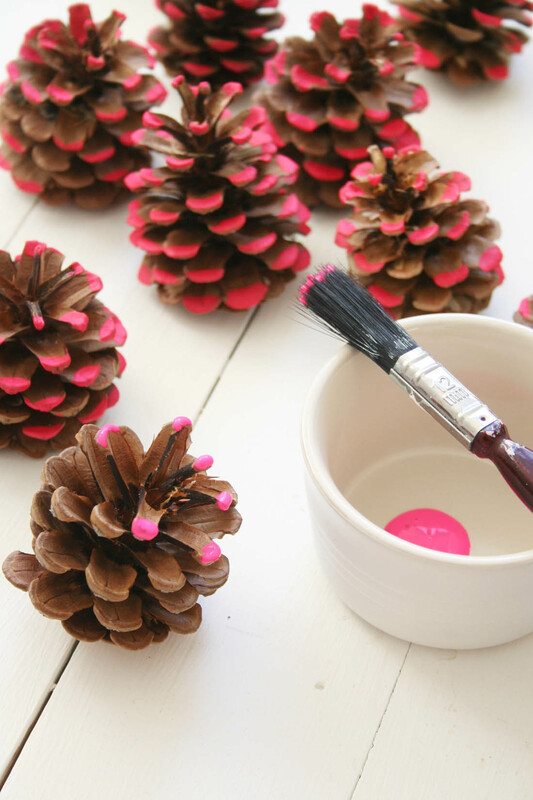 Step 3 – Use neon acrylic paint to add a touch of colour to the tips of the pine cones. Leave to dry overnight. 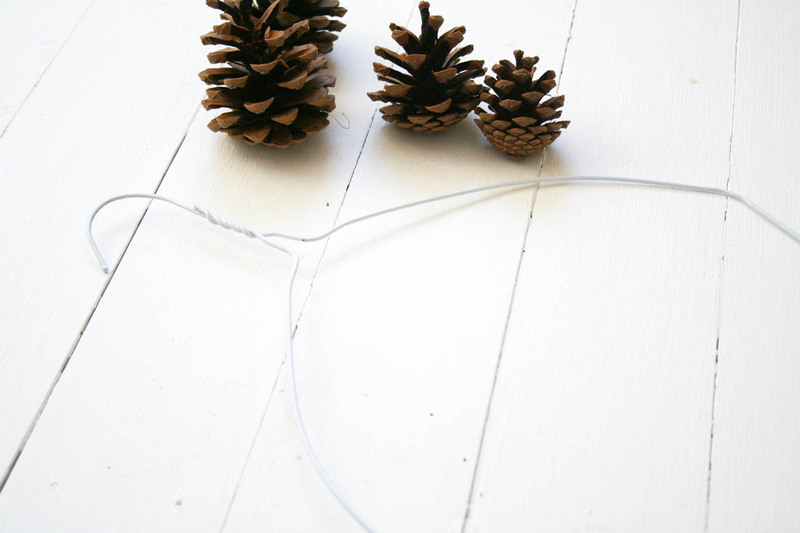 Step 4 – To attach the cones to the wire hoop wrap a piece of floral wire around the centre of each cone and twist the wire lengths around each other so that it is secure. 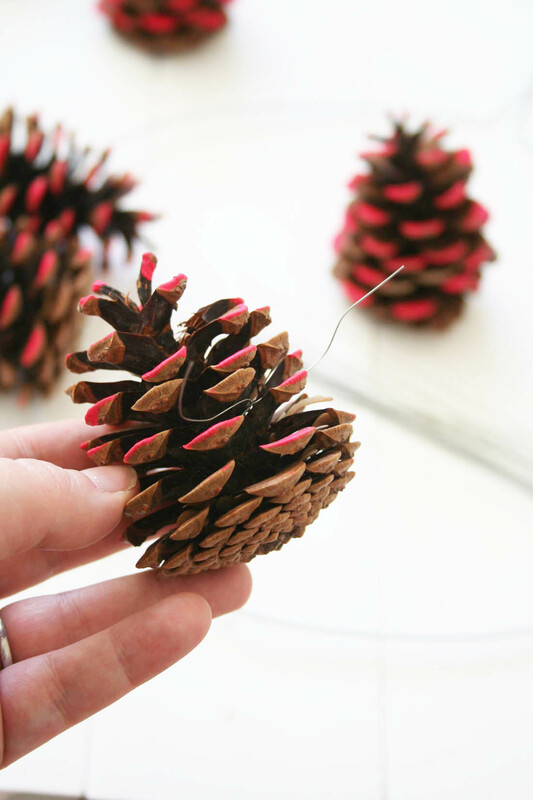 Step 5 – Attach the cone on to the hoop by wrapping the excess wire around it tightly. 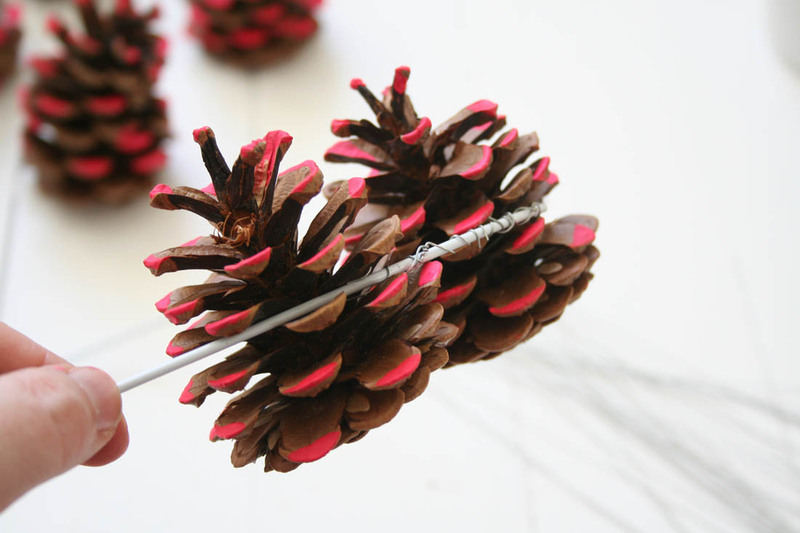 Step 6 – Place more cones on to the hoop, securing them as you go, until the entire hoop is covered. You can then hang the wreath using the hook at the top of the wire hoop. 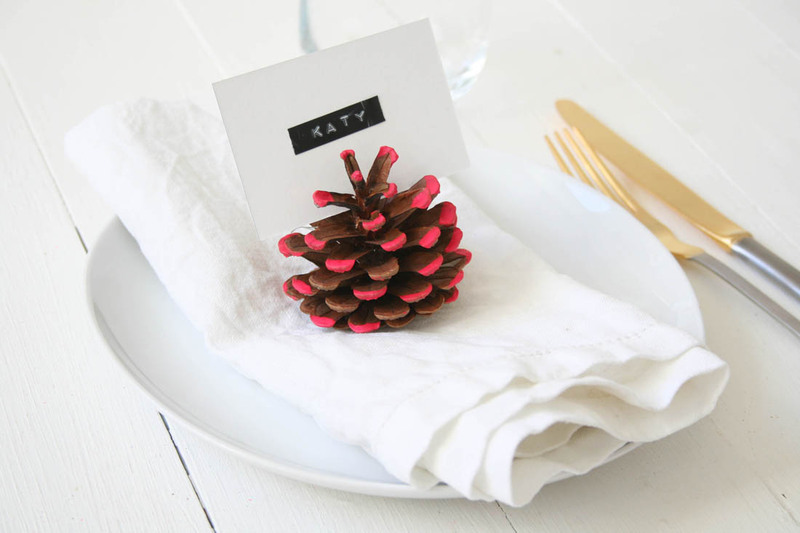 If you have any painted pine cones left over you can use them as festive place name holders for your Christmas table. Just slot a name card in to each cone and they will add a modern touch to your feast! 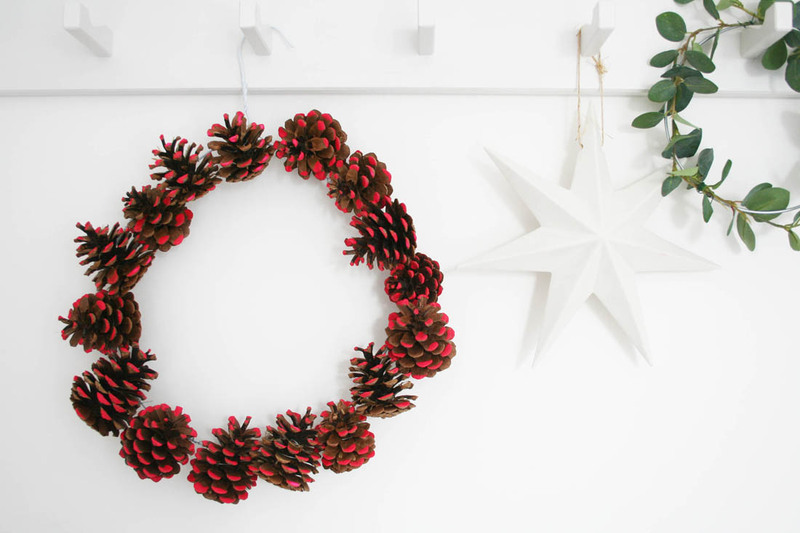 You can see more creative Christmas decoration ideas over on the Harveys Furniture blog. Have you got any crafty plans for this weekend? *This post was written in collaboration with Harveys Furniture. I love greens and crisp white with plenty of twinkly lights for Christmas… though I also love the gentle colours of vintage decorations. And the not so gentle kitsch! A great idea for a wreath, and oh yes, how stylish it would look hanging on an equally stylish dark grey door! What a clever idea! I’ve got heaps of pine cones, so may give that a go. It looks fab and definitely nice to have an alternative to traditional decoration colours, but still involve nature.